Daniel Kraft, a Stanford and Harvard trained physician-scientist, inventor, entrepreneur and innovator, offers a revealing preview of the next few years of innovations in medicine, powered by an era of digital medicine, where new tools, tests and apps bring diagnostic information to the patient's bedside. Kraft deftly helps audiences understand how health and medical technology will empower the patient, enable the doctor, enhance wellness, and begin to cure the well before they get sick. 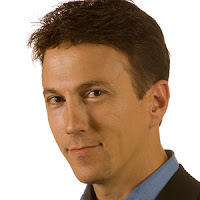 Dr. Daniel Kraft is a Stanford and Harvard trained physician-scientist, inventor, entrepreneur and innovator. Dr. Kraft has more than 20 years of experience in clinical practice, biomedical research and healthcare innovation. Dr. Kraft chairs the Medicine track for Singularity University and is the Founding Executive Director for FutureMed, now Exponential Medicine, a program which explores convergent, exponentially developing technologies and their potential in biomedicine and healthcare. His TEDTalks have more than a million views. Following undergraduate degrees at Brown University and medical school at Stanford, Dr. Kraft was board certified in the Harvard combined Internal Medicine and Pediatrics residency program at the Massachusetts General Hospital and Boston Children’s Hospital. He went on to complete Stanford fellowships in hematology/oncology and bone marrow transplantation, and extensive research in stem cell biology and regenerative medicine. He has multiple scientific publications in Nature and Science and medical device, immunology and stem cell related patents through faculty positions with Stanford University School of Medicine. Dr. Kraft recently founded Bioniq Health, which focuses on enabling connected, data driven, and integrated personalized medicine. He is also the inventor of the MarrowMiner, an FDA approved device for the minimally invasive harvest of bone marrow, and founded RegenMed Systems, a company which develops developing technologies to enable adult stem cell based regenerative therapies. Dr. Kraft’s experience and vision in many ways epitomizes the kind of out-of-the-box thinking that is shaping not only the future of healthcare, but also the future of wellness, prevention, and biopharma.